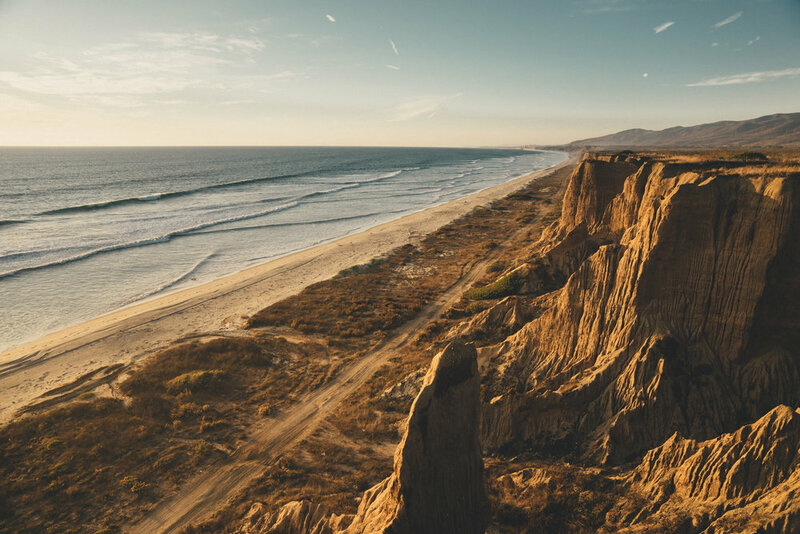 If you cycle the entire coastal route from Vancouver to San Diego, Google Maps calculates 2,714 km and 16,492 m elevation. I reached the same destination cycling 5,109 km and climbing 57,582 m. You could say I took the touristic route. I’m taking it slower on this journey, spending more time in places. The main reason is because I have work to do, the other reason is because I met this girl, messing up my travel plans - and I loved it. The work I do is straightforward, within my comfort zone. I’ve done branding design projects for about 10 years now. It doesn’t matter where I am. If I have access to a chair, a table, my Macbook and reasonable wifi, I can do the work. My clients seem to be happy. Some of them don’t even know that I’m on a bicycle trip, other than that I’m ‘currently holding office in San Francisco’, or Vancouver, or Portland, or Los Angeles. There’s even been occasions that I did some tweaks on a design in a diner along the road, enjoying an omelet, hash browns and drip coffee, the tent hanging in the sun over my bike, still wet from early mornings dew. Of course it’s not the ideal working environment, but I can make it work and I find it a lot better than sitting in office 5 days a week. 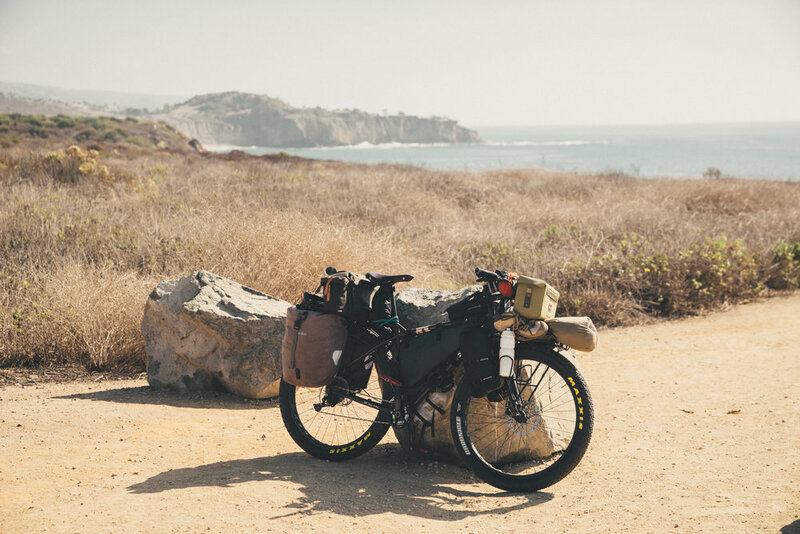 America by bike has truly been an adventure, beautiful and memorable in so many ways. The rough coastlines of Washington, the deserts of Oregon, the long climb up to Crater Lake, the magical Redwoodforests, meeting Rachel in San Francisco, through a heatwave towards Yosemite, thunderstorms in the Nevada desert, Zion and Bryce Canyon in Utah, the Canyonlands with Rachel, meeting native people in Toas NM and Monument Valley are just a few of the many highlights. Of course It’s not júst a parade of highlights. In between all the moments of bliss there is also loneliness, hardship, doubt and insecurity. The big questions: Why do this trip? What do I want with my life? were strongly present after meeting someone valuable. At some points I just wanted to stay. Probably the most difficult part of this kind of long therm slow travel, is living in the moment. There are long, dull stretches of pedalling. In those moments I’m constantly longing, to reach a destination, or to be with someone, somewhere else. I constantly remind myself to enjoy the moment. But simply not all moments are enjoyable. Rachel and I didn’t last. I visited her again in San Francisco, leaving the bike in LA. We’ve had a bunch of adventures together the past months. We both love the outdoors and couldn’t wait to see each other again. After I landed in San Francisco I felt at home. The cold grey weather and the old neighbourhoods made me feel like I was in Amsterdam. We watched jazz in Mr. Tipples Recording Studio, visited the Museum of Modern Art and went on a hike in Big Sur. We had grown on each other. But at the same time things got difficult. The cultural differences, at first intriguing and inspiring, turned against each other. We tried to love, but more and more we were in the dark. It kept me awake at night. I had a long walk over the hills of Castro, sitting on top of Corona Heights park in the November drizzle, trying to find answers. No answer satisfied. Tears of letting go accompanied by the most magnificent views of San Francisco in the night. Ironically, it made me smile. What a life! The last months I had seen the most beautiful landscapes of North America, and sharing adventures with an amazing woman. What am I complaining? Now that’s over and I need to accept it. But you have to take the time to feel miserable too. You can’t laugh it away. Two days later I left, earlier than planned. All our future plans were cancelled. Somehow I felt relieved. I could focus on the trip again. Back in LA I sat on the beach in Venice, looking back at something that only seemed a dream. The bright warm sun in my face made me forget the fog of San Francisco. It’s time to move on, Mexico is smiling at me.